In May 2016, actions under the PLANERB (“Plan de Acciones Estratégicas para la Rehabilitación de presas de la Unión”, Strategic Action Plan for dam rehabilitation in Brazil) Project initiated. This project is the results of a contract conducted by Gas Natural Fenosa and approved by IICA (Instituto Interamericano de Cooperação para a Agricultura) in Brazil and the Ministry of National Integration with title “Consultancy services for developing a strategic action plan for dam rehabilitation in Brazil” (“Servicios de Consultoría para la elaboración de un plan de acciones estratégicas para la rehabilitación de presas de la Unión”) funded by the World Bank. The main objective of this work was to elaborate a structural, organizational and environmental diagnosis of 164 dams in Brazil (owned by DNOCS, CODEVASF and the former DNOS) and perform a strategic action plan to define rehabilitation measures, aligned with the requirements of the Dam Safety Law Nr.12.334 published in 2010.
iPresas, in the period 2017-2018, has been collaborating with GPG (Global Power Engineering, company of the Gas Natural Fenosa group, for international power generation) within the framework of the PLANERB Project, participating in site inspection visits to part of the dam portfolio, working group sessions and developing a software tool for dam portfolio management, called iPresas PLANERB. 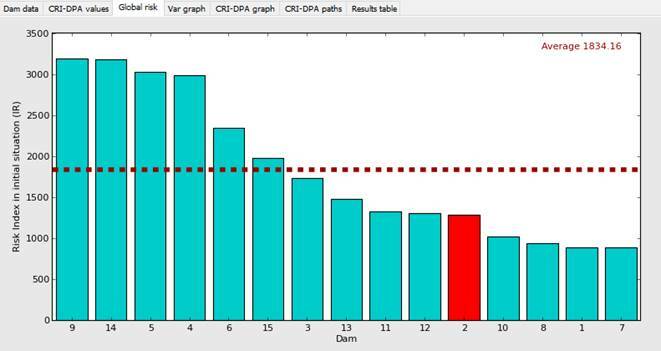 This tool allows integrating and representing results from the developed diagnosis for all dams and to define sequences for prioritizing future rehabilitation measures for dam safety improvement. iPresas PLANERB is a support tool that will promote a risk-informed portfolio management, defining the optimal sequence of dam safety actions at asset and portfolio scale, along with the analysis of different scenarios (current and future). 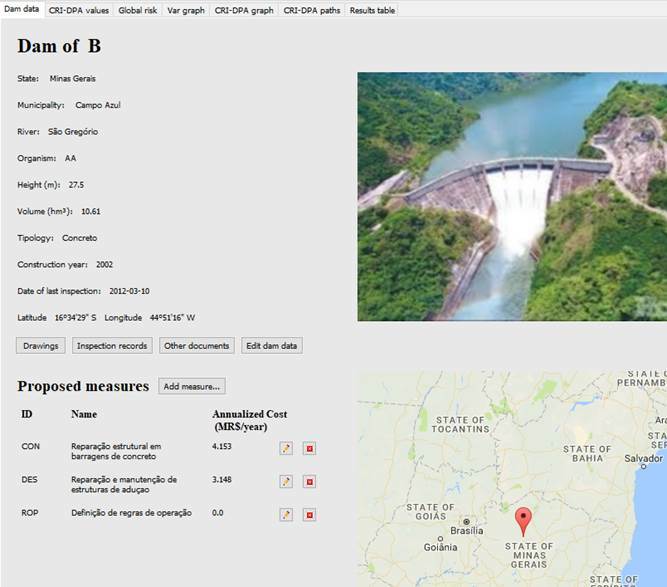 In addition, it allows integrating all documentation of each dam through a clear and easy user interface. The Law Nr 12.334 of 20 of september of 2010 established the required procedures for dam safety management in Brazil, including the development of a National Dam Safety Information System (SNISB). Based on the register of the International Commission on Large Dams (ICOLD), Brazil accounts for more than 1300 large dams (higher than 15 m or with a dam height ranging from 5 to 15 m but with a reservoir volume larger than 3 hm³). Consequently, Brazil is the fifth country worldwide in number of large dams, but there are also thousands of small dams across the country.